Our Long-Term-Relationship Partner, Why Not Theatre, has completely taken over our building, and we couldn’t be happier to have them here! Along with presenting The RISER Project in the Incubator, and Iceland and A Reason to Talk in our Mainspace, they are also offering two exciting workshop presentations! Admission: FREE! Seating is limited, please contact Kelly Read to secure a seat. 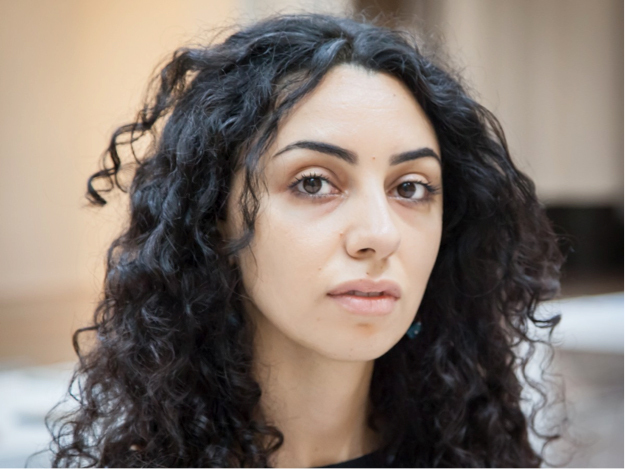 Rimah Jabr is an emerging Palestinian playwright and theatre-maker, who is a newcomer to Canada. Her plays have been performed in cities across Belgium, as well as the Netherlands. To help her make her first steps as a playwright in Toronto, Why Not Theatre and Guillermo Verdecchia are providing her with the space and support to workshop her new piece This is Not What I Want to Tell You, with performer Khadijah Roberts-Abdullah. This… is a personal work in which a young girl must defend herself against accusations she doesn’t understand. There will be an intimate, public showing of the work, on Saturday, May 14th at 2:00pm. There is no admission charge. If you are interested in attending, please contact Kelly Read. With support from Why Not Theatre and The Theatre Centre, Selfconscious Theatre will be at The Theatre Centre from May 9-14th workshopping its current project, We Keep Coming Back, a new performance disturbing Polish-Jewish narratives. We Keep Coming Back tells the true story of a trip to Poland that Michael Rubenfeld took along with his mother Mary Berchard, director Sarah Garton Stanley, and Polish author/filmmaker, Katka Reszke. It was a trip of return to the country of Michael and Mary’s Polish origins that they embarked on to better understand Poland’s complicated history, and in turn, their own strained relationship. Michael hoped the journey would help him reconnect with his Mother, but things took an unexpected and remarkable turn when they discovered a vibrant contemporary world of Jewish life re-emerging in Poland. We Keep Coming Back will premiere this Summer in Krakow, Poland, as part of the Jewish Culture Festival. An invited showing will be presented, on Saturday, May 14th at 4:00pm. Availability is limited. There is no admission charge. If you are interested in attending, please contact Sue Balint. We Keep Coming Back is supported by: The Collaborations at Canada’s National Arts Centre English Theatre, The Canada Council for the Arts, the Ontario Arts Council, Kana Theatre (Szczecin, PL), Ministry of Foreign Affairs of the Republic of Poland, Consulate General of the Republic of Poland in Toronto, The Polish Cultural Institute in New York City, the Nadaye Foundation, Beit Kraków, and LOGTV, Ltd.
← Older: It’s Our Building’s Birthday!